Nowadays we are becoming health conscious. Everyone has started jogging in the morning, drinking lemon juice and avoiding fast foods etc. The era is coming where everyone will be talking about “Fit India”. It is said that your body, mind, and food are internally connected to each other. You must have noticed that when you are hungry, your mind stop being more productive. This is because the food is the most essential to the body but here is the question for you- What kind of food? The answer is right here. There is a thin line between food & healthy food. You love bread but for health reason, you replace it with brown bread or multi-grain bread. You love eggs but you replace it with egg white recipes by avoiding the fat infused egg yolk. You love sweets but you replace sugar with jaggery or lentils. There is always a thin line or I say borderline to stop going to the unhealthy zone. 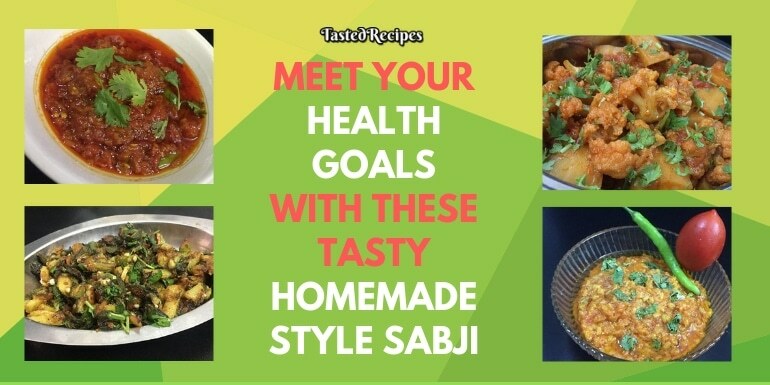 Therefore, I have mixed 4 stunning Veg Sabji recipes that are beyond healthy. Download the recipe card or save it to your Pinterest. We eat tomato mostly every day but have you ever thought what is the best benefit of tomato? Tomato is really good for your skin. It moistures so well. We all eat a tomato in our afternoon Salad & eating it every day makes your heart healthy. Because of its nutrient defense nature, it is the best for weight loss. 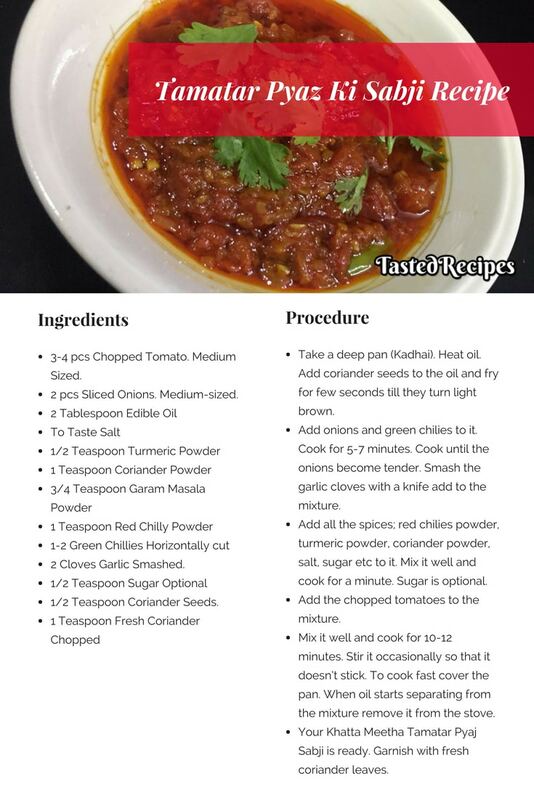 Tamatar Pyaz ki Sabji is great for your afternoon lunch. Firstly it is very quick to make it. So if you are having tomato in salad then save it for dinner. You will enjoy gravy the most. The best way to cook it is mentioned in the recipe card. You ask any kid, they will tell you their favorite sabji is Bhindi. Even mine too. I can eat 7-10 rotis with Bhindi Sabji. And of course, you can believe me also. Bhindi is just so tasty Sabji. It should get the world’s best Sabji award for sure. In everybody’s fridge, you will find Bhindi for sure. Am I right? So what is so special about this Sabji? It is special sabji because firstly you can make so many variations with Bhindi Sabji. You can make it in some minutes and pack your kid’s lunch box. Last year, I went for a one day picnic, and for lunch, we took bhindi sabji with some Puri. It was delicious pair ever. It is low-calorie sabji with high in fiber which stands for healthiest sabji. Gobi or Cauliflower can make in the most delicious manner too. 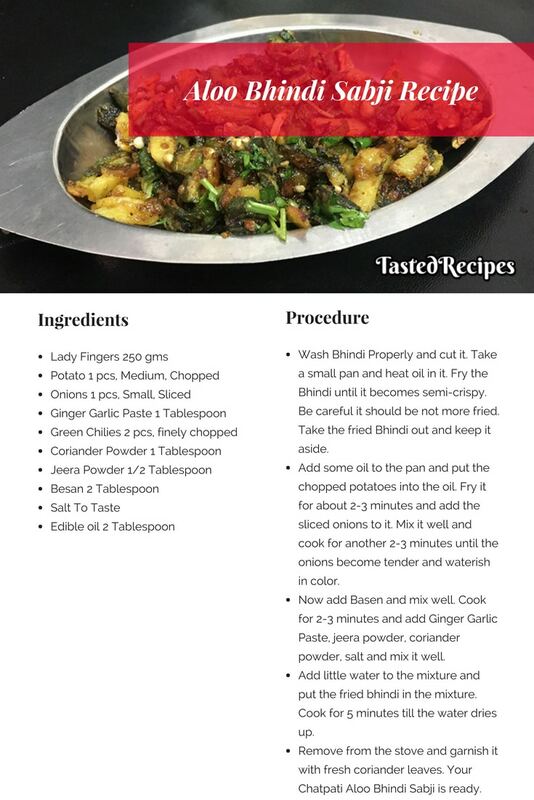 All the mothers will send me gifts for sharing this tasty Gobi ki sabji recipe. With taste, it has some health power too. Cauliflower is a crunchy and tasty vegetable and healthy nutrients, it has the distinction to prevent you from any kind of cancer or cancer reassurances. When you buy Cauliflower, just check if the head has yellow spots or black spots. To purify it, take a bowl of water and add a pinch of salt. Keep cauliflower in it for 15 minutes. This way pesticides and bacteria will go away. 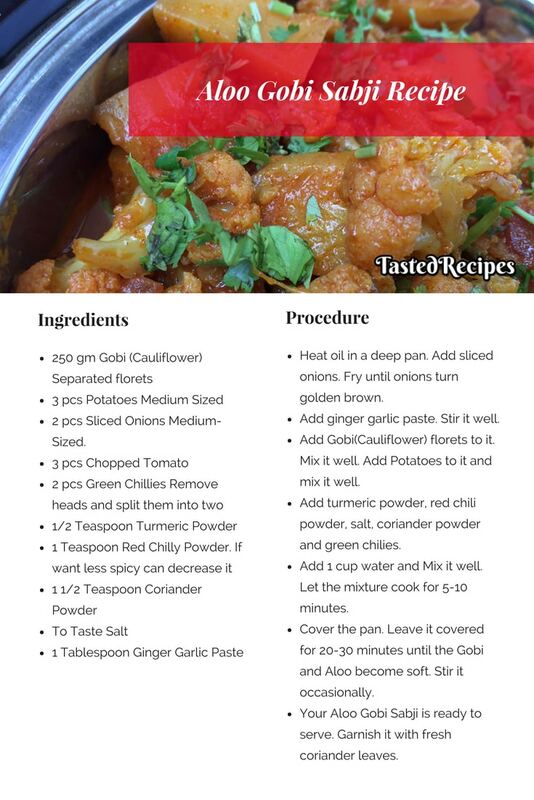 Cauliflower or Gobi is the most versatile sabji if you don’t know people. To know more recipes about Cauliflower or Gobi, check out 8 Tasty Cauliflower recipes. Did you know that Mung beans are part of traditional Indian Ayurveda food for thousands of years? Yes it’s true we are diverting from such nutrient foods but now it’s time to come back. Moong Daal Sabji is best for people who are on diet. It is protein infused sabji with low carbs. You may be unaware but even in your protein powder which is a sensational fitness drink has a powder of mung beans. 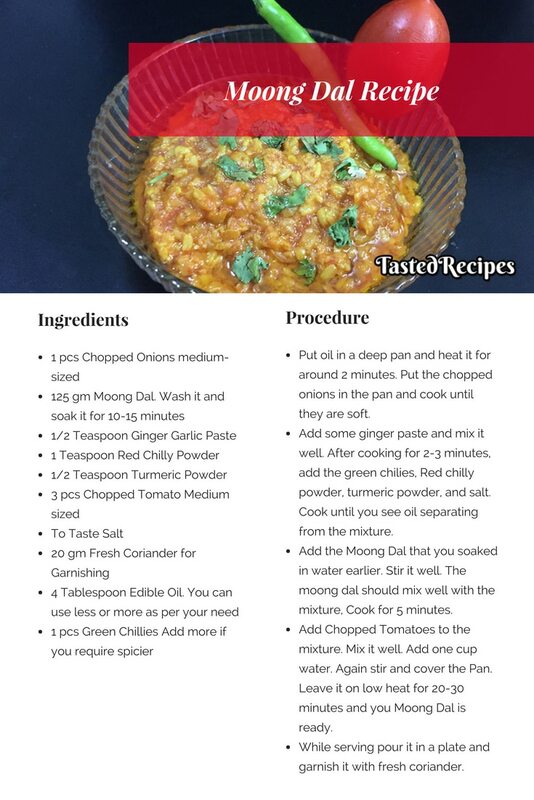 With Moong dal, you can make a traditional Indian Sabji which will be loved by your family. You can cook this for a small social gathering at home. This will light up their mood too. The nutrients you get from these vegetables are most healthy will not harm your body at all. These vegetables when added to your hamburgers, chicken dishes or pizza are lost in nutrient ingredients which will harm your body shape or body health. We all want to live longer and not just longer but also fit. Load up these vegetable sabji in your daily meals and keep your body & heart in top shape. You cook for your loved ones or for guest. We all want them to be fit and fine. Happy go veggie days to you!